Dr. Goldstein founded and directs the Clinical Neurocardiology Section at the National Institute of Neurological Disorders and Stroke, National Institutes of Health, Bethesda, Maryland. 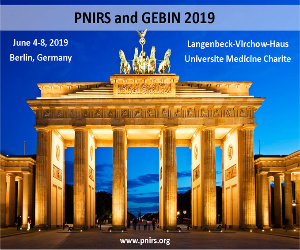 He is author of several books, including ‘Adrenaline and the Inner World: An Introduction to Scientific Integrative Medicine’, ‘Dysautonomias: A Handbook for Patients’, ‘Stress, Catecholamines, and Cardiovascular Disease’ and ‘The Autonomic Nervous System in Health and Disease’. 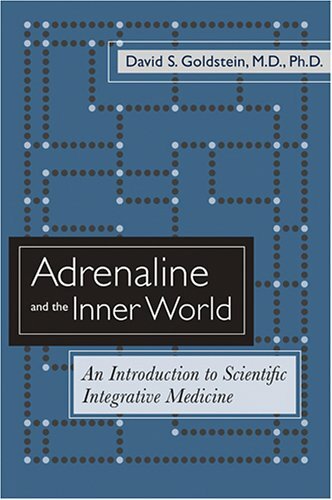 His ‘Adrenaline and the Inner World: An Introduction to Scientific Integrative Medicine’ book focuses on the world’s most famous hormone, adrenaline, and its chemical family, the catecholamines. They are keeping you alive as you read this, just as they sustained our ancestors from the beginning of mammalian time. Through them this book teaches about the “wisdom of the body,” as the great American physiologist, Walter B. Cannon, titled his classic book about seventy-five years ago. Adrenaline is important scientifically, as demonstrated by numerous Nobel Prizes for discoveries based on it and the other members of its chemical family. It is important medically because of its many contributions to manifestations of disease, as a basis for monitoring responses of the body to treatments, and in establishing prognosis. It is important culturally because of its ubiquity in politics, sports, and entertainment. In this book you will read about why a former Attorney General with Parkinson disease has a tendency to faint; why young astronauts in excellent physical shape cannot stand up when re-exposed to earth’s gravity, why professional football players can collapse and die of heat shock during summer training camp, and why baseball players spit so much. Adrenaline is important legally because of worker’s compensation claims for alleged job stress-induced, adrenaline-mediated heart attacks, the medical risk of standing trial, alleged effects of toxic exposures – even the meaning and significance of the “plaintive wail” of Nicole Brown Simpson’s pet Akita in the timing of her murder. Adrenaline is important philosophically because it operates at exactly the border between the mind and body, the voluntary and involuntary, the creature and the human. Adrenaline is important aesthetically because artists and playwrights have always relied on its effects to depict emotional states that are communicated instinctively and that words cannot hide. It is even important religiously for correct understanding of biblical narrative about Jacob’s “faint,” Miriam’s “leprosy,” the only biblical example of trial by ordeal, and the nose as the organ of rage. The book is designed to supplement academic coursework in several fields – psychology, philosophy, biblical studies, physiology, biochemistry, the history of medicine, psychiatry, endocrinology, cardiology, and complementary and alternative medicine. The approach emphasized teaching by analogy, example, and anecdote, with the intention of drawing the reader, by sheer fascination, into the world that populates us. The book is also written for patients and their families, caretakers, and support groups seeking a source of information about dysautonomias. 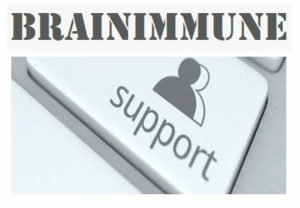 Dysautonomias are conditions in which altered function of the “automatic nervous system” adversely affects health. Dysautonomias are ubiquitous in modern society, ranging from occasional annoying sensations in otherwise healthy people to progressive, debilitating, fatal diseases. They occur in all age groups. Some are established diseases, with changes in body tissues that a pathologist can see. Some are functional disorders, with chemical or biological changes that a clinical investigator can measure. Some are mysterious and controversial because of a lack of accepted objective tests and treatments. All involve multiple body functions, multiple internal effector systems, and multiple disciplines in medicine. These features render dysautonomias an ideal entrée to scientific integrative medicine, which the author believes will be at the forefront of medical thought and practice in the post-genomic era.